Grand master Ip Man was the first master to teach the martial art of Wing Chun Kung Fu openly. He had several students who later became famous in their own right, including Bruce Lee. Sifu Gorden Lu who is the grand nephew to the Grand Master Ip Man and he is the only living relative teaching Wing Chun Kung Fu in the United State. 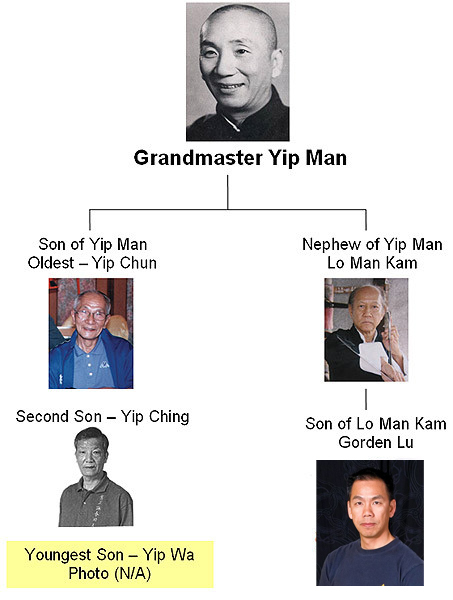 Since Sifu Gorden Lu finished the system from his father, he had been instructed and trained under Ip Man’s disciple Sifu Duncan Leung (the founder of Applied Wing Chun) on many different techniques and drills, especially Sifu Duncan’s specialty — Wing Chun long bridge fighting style.